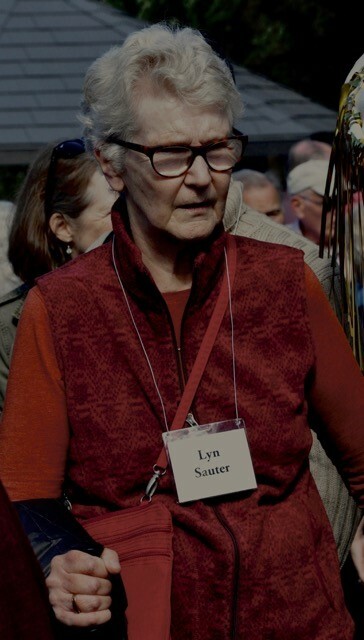 The Northwest lost a pioneer in horticulture, native plants, and libraries on December 14, 2017, when Lyn Sauter passed. Born in Snoqualmie Falls, WA, she first earned a degree in Chemistry at Seattle University. She then met her husband, Hansjoerg Sauter, a German medical resident. They married and had four children. She then returned to the University of Washington where she earned a graduate degree in Library Science, a field she pursued for the rest of her life. She worked at the UW Pacific Northwest Bibliographic Center in her early career. She also ran her own business, offering services to set up libraries for small businesses, including engineering, environmental, and banking firms. 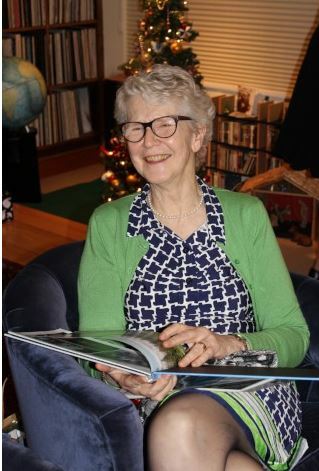 In the 1970s, Lyn was recruited by Washington Park Arboretum Director Brian Mulligan and Curator Joe Witt, to find and catalog all their books. For months she searched, finding books in dusty boxes, drawers, and even in the machinery sheds. After the Arboretum Club House fire, she helped move the arboretum books to UW’s Suzzalo Library for safety reasons. Starting as a volunteer, she was eventually paid for her work. She consulted on the design and opening of the original Miller Library and was instrumental in advising the librarians and Betty Miller about how it could be both a public and research library. Lyn Sauter and Betty Miller, Ground Breaking for Merrill Hall, 1983. UW archives. Since many of the books in the original collections were rare, Lyn lobbied for a safety storage vault (room). One was built into the first Miller Library building, and it preserved the rare books during the Merrill Hall fire in 2001. Obviously, a good idea that was incorporated into the current library building, too. She was instrumental in the hire of the first Miller Librarians, Valerie Easton and Laura Lipton. Original Entrance to first Miller Library in Merrill Hall, December 1987. Lyn expanded her skills to include navigating the budding internet and then worked for Group Health and Swedish Medical Center. This interest drove her earlier efforts to lobby for computers for the Miller Library, which with today’s internet ties it instantly to the public as well as other institutions around the world. It was not an easy “sell” in the mid-1980s, since the University was reluctant to authorize computers so far off the main campus. 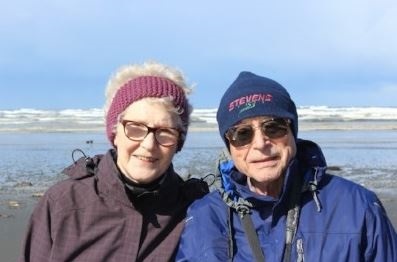 She always had an interest in plants, as stated in her oral history, now a part of the Miller Library archives: “When we were first married, we would hike. My husband walked faster than I did, and he would want to know the names of the plants. I could tell him most of the names of the native plants. I saw an ad for the Hitchcock course and I had the brilliant idea, that if we were to take these native plant identification courses, we would have to stop and indentify the plant and it would slow him down.” Through this venture, the Sauters became friends of Art and Maureen Kruckeberg and hiked extensively with them. They were long-time members of the Rock Garden and Native Plant Societies and their personal garden was a showcase of native and exotic plants. I rekindled my close friendship with Lyn when she recruited me to join the Friends of Volunteer Park Conservatory Board, 14 years ago. We soon established a bimonthly “prayer meeting” in which we enjoyed a bottle of wine, fresh baked cookies or other snacks and then solved all problems along with any new gossip, a tradition now stopped by her passing. Lyn Sauter was a classic, one-of-a kind lady, and she always won. She left her legacy in the Northwest in many ways. Stop by the Miller Library and listen to her Oral History tape or listen online. She was a woman before her time. Lyn Saunter at John Wott Way Dedication, Washington Park Arboretum. October 2, 2016.